US-headquartered BioTek Instruments has been granted US patent 9,557,217 for imaging and microplate reading in one instrument. The intellectual property protected by this patent is used in BioTek’s well-known line of Cytation Cell Imaging Multi-Mode readers. Other patents are pending. Cytation offers fluorescence, brightfield, colour brightfield and phase contrast imaging up to 60x, and multi-mode detection optics that include fluorescence intensity, luminescence, absorbance and advanced measurements such as fluorescence polarisation, time-resolved fluorescence and AlphaScreen. 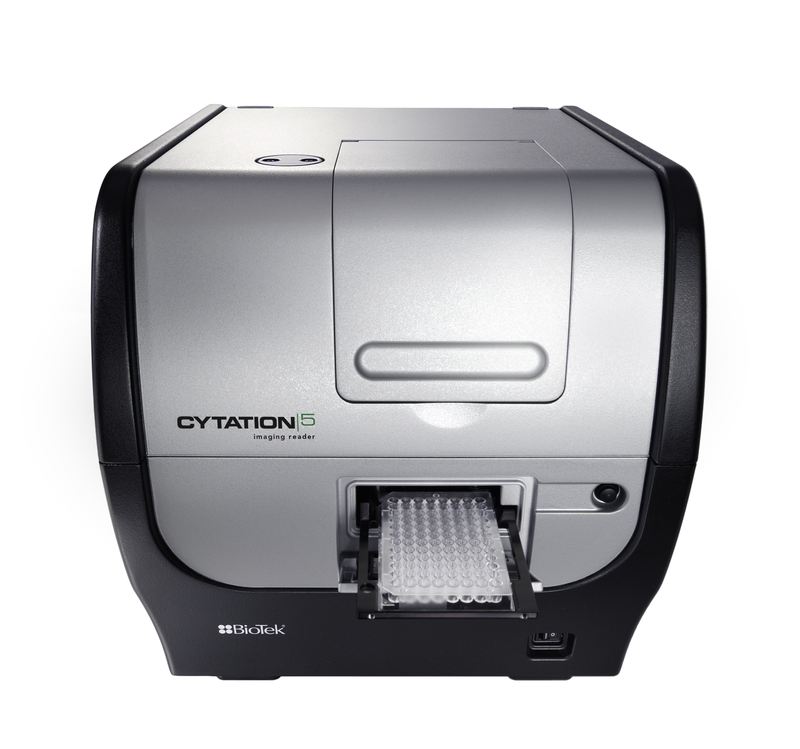 The latest product in the range, the Cytation 5 Cell Imaging Multi-Mode Reader combines automated digital widefield microscopy with conventional multi-mode microplate reading. With Cytation 5, users can capture rich phenotypic cellular information and well-based quantitative data in a single experiment. Cytation 5, along with Gen5 software, automates the workflow from image capture, processing, and analysis to create publication-ready images and data. Cytation systems are ideally suited to live cell assays, with incubation to 65°C, shaking, plus available CO2/O2 control. Gen5 Microplate Reader and Imager Software controls all imaging and multi-mode instrument operations, and provides quantitative and qualitative image and data analysis for a wide range of applications including cell migration, label-free cell counting, phenotypic analysis, DNA/RNA quantification or ROS assays.